We sell hot water by the tankload. Hot water tanks have been the standard for years, with fuel operated tanks offering an efficient heating and storing solution for your water. It’s always hot when you need it, just turn on the tap and go. Our awesome sales team works hard to source the best brands in the market, making sure we have the most efficient and state-of-the-art hot water tanks to meet your needs. 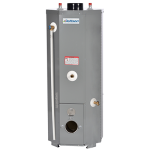 One of the most popular hot water heaters we offer is manufactured by Dettson. We’d be happy to talk to you about this product and other hot water heater brands we carry anytime. To get started, just give us a call at 1-877-635-3645 or complete the form below.